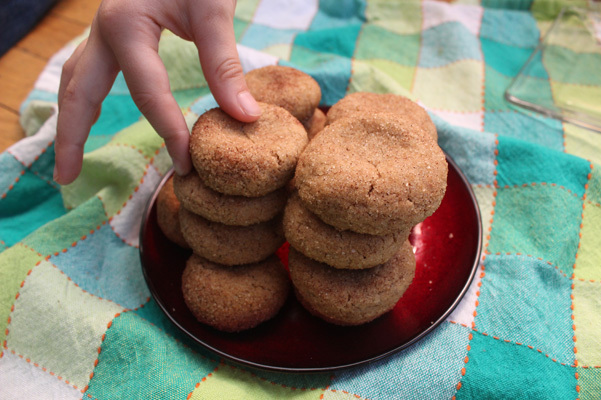 Soft & Thick Snickerdoodle Cookies - Baking Adventures In A Messy Kitchen When you need to whip together some crowd pleasing cookies, this is a perfect go-to recipe. They’re sweet, cinnamon-y, puffy and soft, satisfyingly filling, and don’t have any objectionable ingredients. I have yet to meet someone who doesn’t like snickerdoodles. Of course I’m not a purist about such things, so when it came to the question of to cream-of-tarter or not to cream-of-tartar, I went for the not. I’ve never enjoyed that weird aftertaste, especially with sweet cookie goodness so easily attainable. These turned out great. 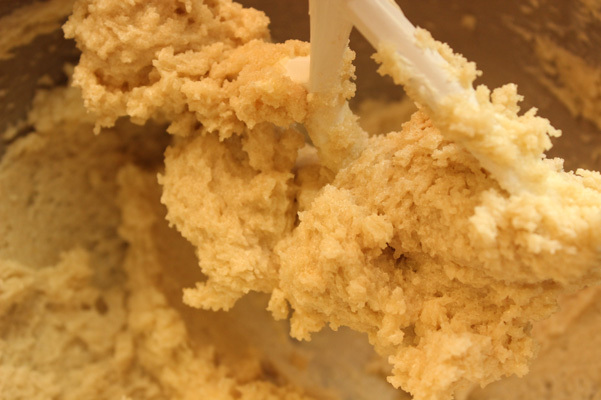 When you need to whip together some crowd pleasing cookies, this is a perfect go-to recipe. They’re sweet, cinnamon-y, puffy and soft, satisfyingly filling, and don’t have any objectionable ingredients. I have yet to meet someone who doesn’t like snickerdoodle cookies. Of course I’m not a purist about such things, so when it came to the question of to cream-of-tarter or not to cream-of-tartar, I went for the not. I’ve never enjoyed that weird aftertaste, especially with sweet cookie goodness so easily attainable. These turned out great. As directed, I started by making the topping: cinnamon and sugar, a winning combination. 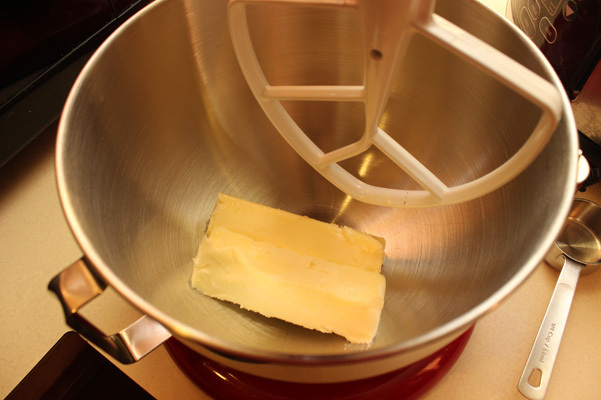 Then I did something I rarely do when baking: threw two sticks of softened butter into my stand mixer. 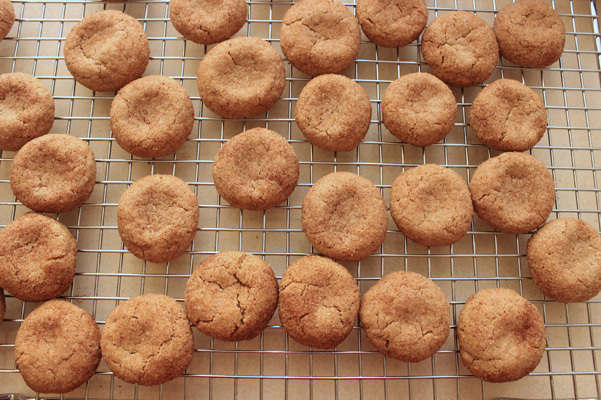 No yogurt was involved in the making of these cookies, just sweet sweet butter. 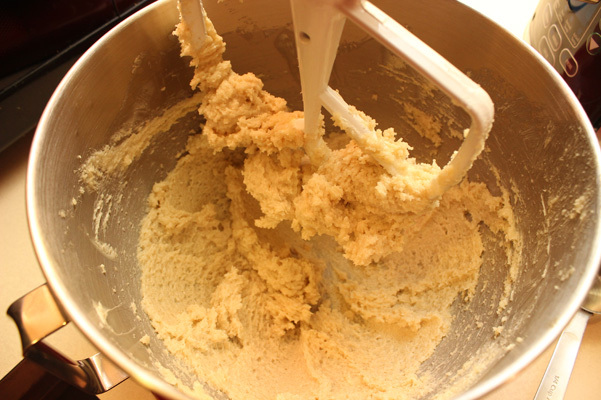 I let the mixer do its work until the butter was soft and creamy, then added the (cane) sugar. Next to go in was the egg and the vanilla. Normally I use vanilla bean paste but I’m running low, so I thought I’d save that for something more sophistimicated and just use vanilla extract, which I have in abundance. 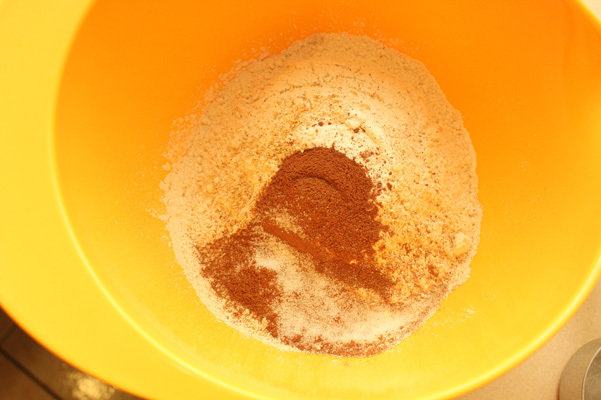 Dry ingredients came next, whisked together separately. I used whole wheat white flour and wheat germ — I couldn’t resist — and then added cinnamon and salt. Instead of baking soda + cream of tartar I opted for baking powder. Some snickerdoodle snobs will tell you that it isn’t a “real” snickerdoodle without the cream of tartar, but I’d rather have a delicious fake snickerdoodle than a weird sour-tasting real one. Onward and upward. 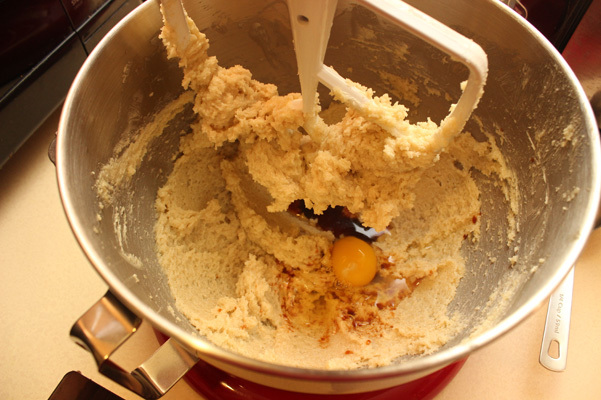 I slowly added the dry ingredients to the contents of the stand mixer, beating on low speed, then did the final mixing by hand with some extra spatula scrapes along the bottom of the bowl. The dough was thick but not sticky. 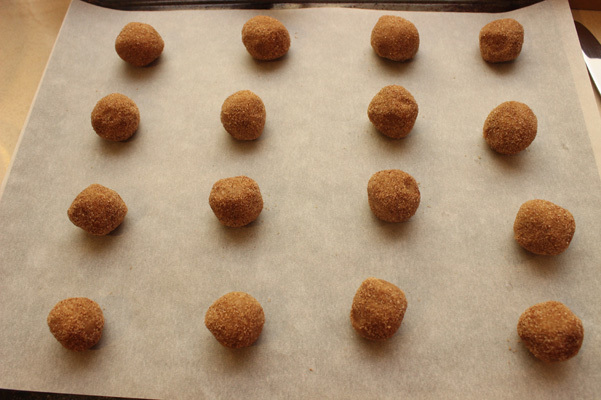 I used a cookie scoop to measure out the dough, rolled it into balls, then gave them a quick spin in the cinnamon sugar topping and placed them on a parchment paper-lined cookie sheet. I baked the first tray for 10 minutes, the second for 12, and the third for ten again, just to play with the texture a little. Bottom line, they all turned out great, with the 10-minute cookies being just a little bit softer in the middle. These cookies are really, really good. The kids ate them — even Juliet! — and Dave protested the removal of some to take to the office, but people at work loved them too and I felt compelled to share. They’re crisp on the outside, with a nice crackle from the cinnamon sugar, and soft and puffy on the inside. They’re thick enough to make up for their smallness; filling enough to stop you from needing a whole pile of them (although you might WANT a whole pile of them). Great recipe, quick and easy to make, and so delicious that I have no idea how long they last because they didn’t. They got eaten. 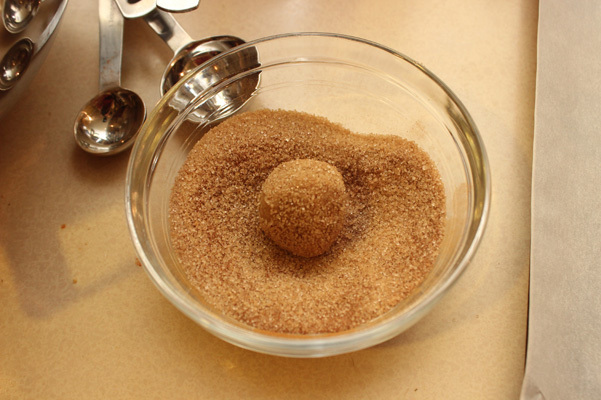 Make the topping by tossing the sugar and cinnamon in a small bowl. 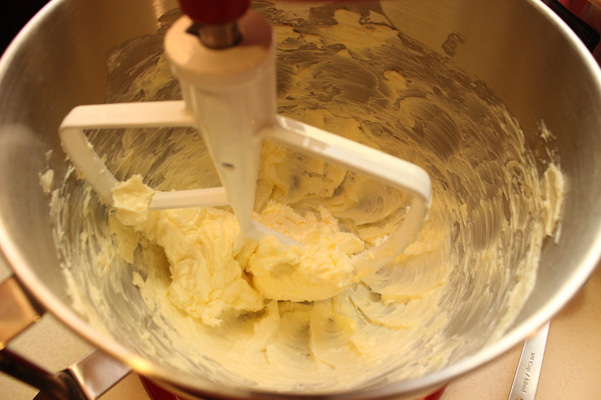 In the bowl of a stand mixer, cream the butter until it’s very smooth. 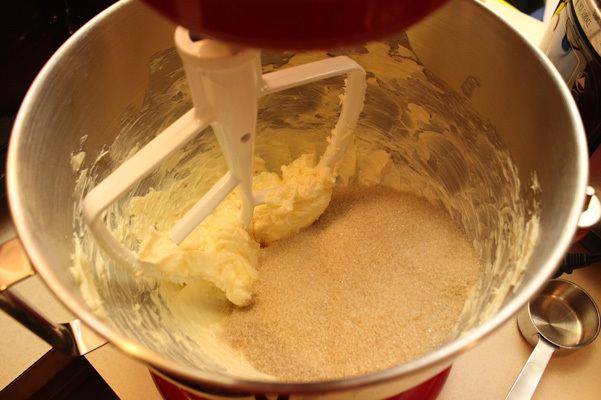 On medium speed, beat in the sugar until light and fluffy.Beat in the egg and vanilla. 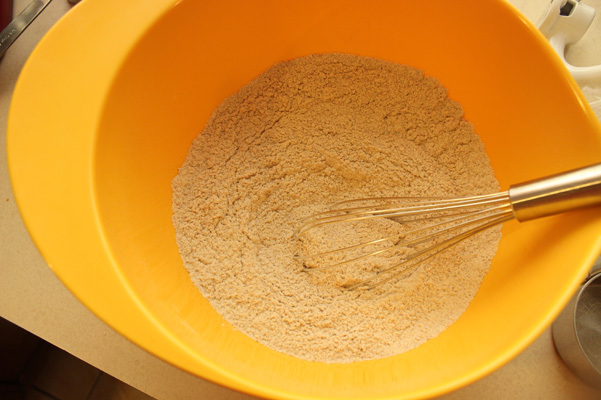 Separately, whisk together the flour, wheat germ, baking powder, cinnamon, and salt. 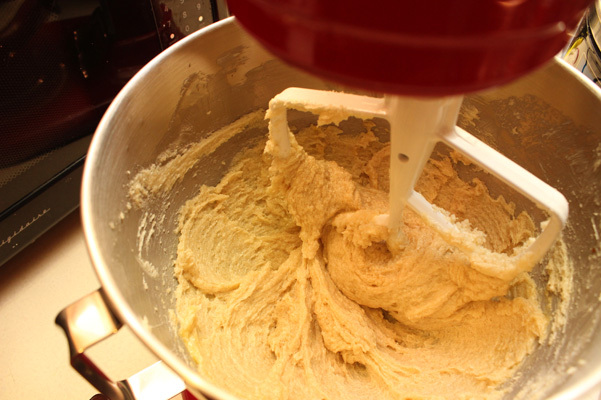 In three different parts, add this to the stand mixer, beating on low speed. Finish the mixing by hand. 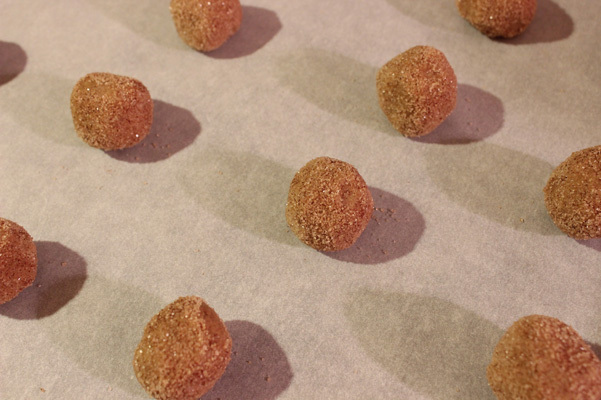 Scoop the dough into balls and roll in the cinnamon-sugar topping. Place on baking sheet and bake for 10-12 minutes. Let them sit on the pan for another ten minutes, then move to a wire rack. 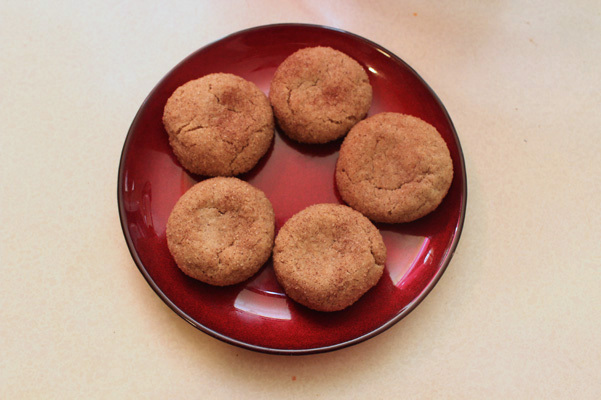 Years ago I had a recipe for snickerdoodles. It did not use cream of tarter but it did use wheat germ. I lost that recipe and it was the best snickerdoodles recipe EVER. Since losing it I have only found recipes using cream of tarter, no wheat germ. When I see that I know it is NOT the old recipe. What you offer here is it. 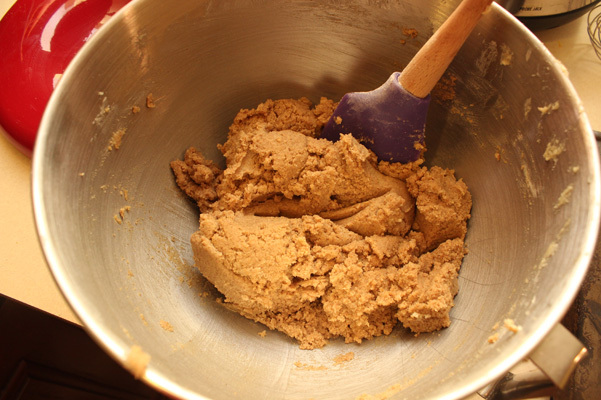 This is the snickerdoodles’ original recipe. Seriously I think somewhere along the line somebody cheapened them up, taking out the wheat germ, adding the cream of tarter. My recipe was from around the 1950s. I cannot wait to bake these. They even LOOK exactly like that old recipe I’d had. Thank you. I’m so glad you found them too! 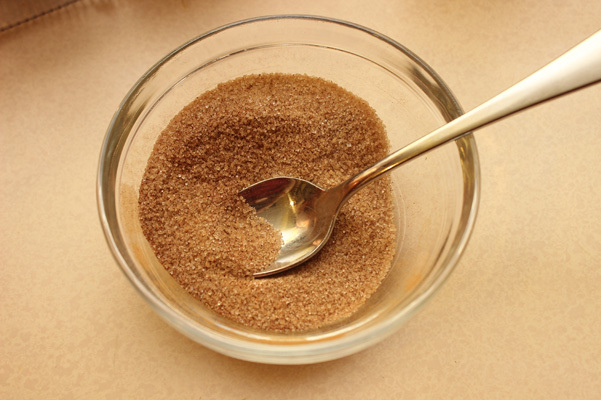 The wheat germ was my addition — it’s something I do to most of the recipes I make. But I have always wondered what’s up with the cream of tartar, because sometimes it adds a very strange flavor to the mix. Anyway these are delicious, so enjoy! What is a snickerdoodle without cream of tarter but a sugar cookie. See? I TOLD you some people think a snickerdoodle without cream of tartar is not a snickerdoodle. I just want a delicious cookie, so I’m willing to take the crticism (with a mouthful of cookie). 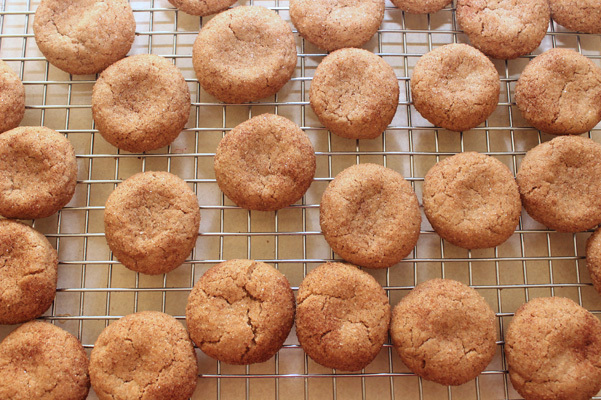 When is a snickerdoodle not a snickerdoodle? The question of the ages. But since there’s cream of tartar in baking powder I think I’m still good. Right? 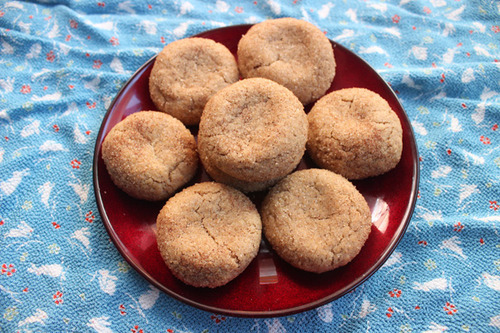 It is the wheat germ that makes a true snickerdoodle. I am so excited about having found this.